One of our favorite couples! We really had a wonderful time photographing this marriage. 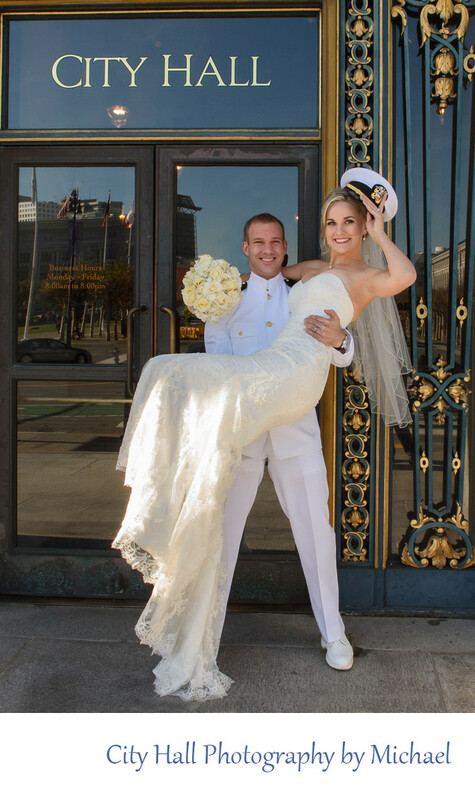 We took them to all 4 floors of San Francisco City Hall and got some amazing shots. You can go to our slideshow page if you want to see their complete wedding. We ended this shoot with a take off on the movie: "An Officer and a Gentleman" Totally fun!